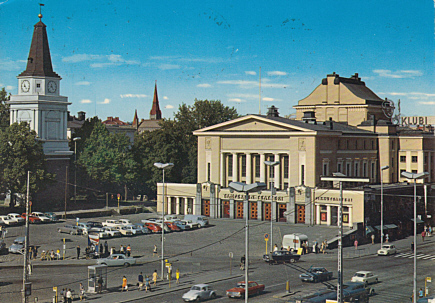 Municipal theatre, built 1912-1913 by Kauno Kallio and Oiva Kallio. Opened 14 Feb 1913. 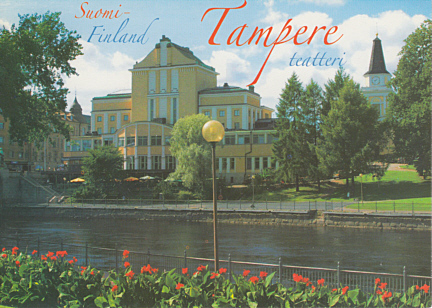 Front Text: "Tampere Tammerfors Suomi Finland - Tampereen Teatteri - Tammerfors teater - The Tampere Theatre - Das Tampere Theater"
Front Text: "Suomi Finland Tampere teatteri"